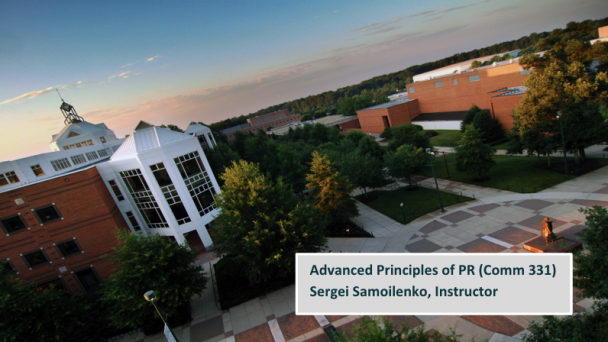 Advanced Principles of PR (Comm 331)develops the conceptual knowledge and practical skills students need to thrive in challenging public relations situations, such as crisis management, research for clients, communication with clients, and development of client work. The instructor is Sergei Samoilenko. Students complete the course with a portfolio of research, writing, and visual materials they have created. In fall 2016, students will pilot a social media competition for the Insomnia Hub, to help spread the word about what's proven to work for insomnia and where to find it. 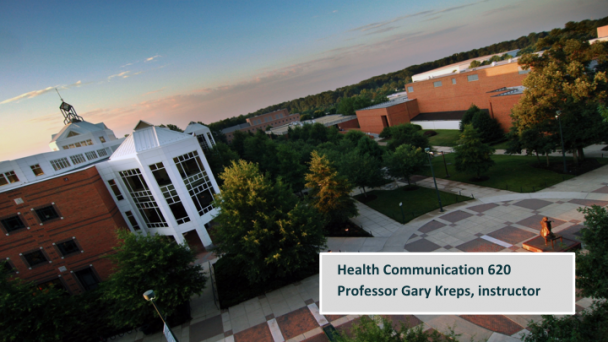 Health Communication 620 examines interpersonal communicative processes associated with health in consumer-provider, family, and health communication campaign contexts. Focus is on understanding cultural differences in perceptions of/communication about health and disease. The course is taught by Distinguished Professor, Gary Kreps. Two hands-on, service-learning projects related to the Share CBT-I Health Communication Campaign are under way.